Have you heard of a construction startup? Was it Eco-friendly? 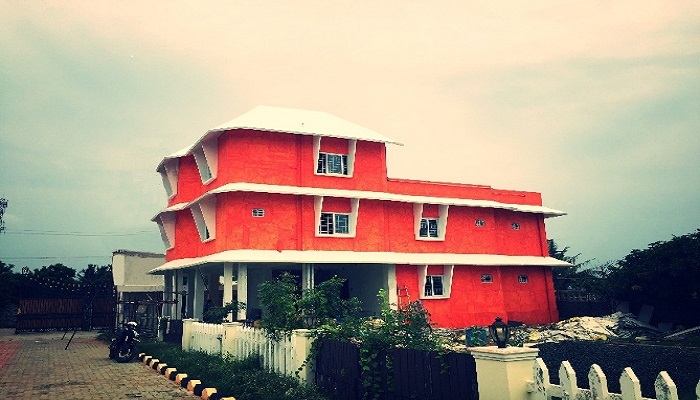 Cityrene builds smart,Eco-friendly energy efficient houses using an Australian technology GFRG(Glass fiber reinforced gypsum) for sustainable living. during the Chennai floods, where millions of people who had their own house but still stranded without power and drinking water for days. Incubated by Founder’s Institute Chennai and mentored by well-experienced and talented business people. Cityrene was awarded as the Best Startup of India – “Founder X Award” by Founder Institute – a well-known local and global startup incubator. Cityrene is also recognized by Startup India – Department of Industrial Policy & Promotion. Cityrene completed its first apartment project in Kovalam, Chennai. They are planning to extend their construction services to other states like Andhra Pradesh, Telungana,Karnataka and Kerala. Plans are also in discussion to introduce green and self-sustainable township with all the features mentioned above which will bring a whole new and huge impact in construction industry. “We have got everything smart from phones, computers and even televisions, why not smart homes? The technology we use for construction is 100+ years old. I believe Cityrene is going to pave the way for imminent change in construction industry,” says Dilipan Bose, CEO. The founders feel immensely grateful to their mentors at Founders Institute. Cityrene received INR 2 lakhs for app development as prize from Maxblox during the Founder Graduation Event. Mr. Gopi Mattel, CEO of Maxblox and a mentor at Founder Institute has been the backbone of Cityrene. Currently, they are raising funds for their township project that will be a smart self-sustainable township and also undertaking GFRG building contracts providing their clients eco-friendly, smart homes. Previous Previous post: 5 Amazing WhatsApp updates are coming in a few months. Check out !